The embarrassment that one can experience by missing a tooth or two could be great. Consequences like biting difficulty, speech predicament, and trouble when chewing may arise as well when tooth loss is left untreated. The good news is, dentistry is now offering a vast selection of restorative options for patients with an incomplete set of teeth. 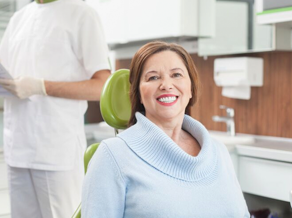 At Allen Dentistry, we provide different types of treatment – from dentures to dental bridges – to restore our patients’ smiles. Dental implants, crowns, and dentures are some of the most commonly performed procedures to those with missing teeth. Although the dental bridge is another effective restoration treatment, many still do not know that much about it. Many people opted for a dental bridge because of its affordability. When compared to other restorative options, dental bridges are less expensive. The function of a dental bridge is to literally bridge the gap produced by tooth loss. It consists of single or multiple pontics (false teeth) supported by a couple of crowns. For its placement, the dental professional will affix the crowns to the teeth located on both sides of the gap. These prostheses will serve as an anchor for the fake teeth in order for the space to be filled in. Anyone who is suffering from tooth loss with one or three successive missing teeth can benefit from the treatment. However, for those with a large number of fallout teeth, dentures may be recommended. At Allen Dentistry, we provide both full and partial dentures. The cost of dental bridges may vary from several factors including the materials used, the complexity of the placement, fabrication process, geographic location, and other additional treatments necessary. After receiving a dental bridge treatment, patients are sure to improve both the functionality and aesthetics of their teeth and smiles. Moreover, because of the present-day advancement in the field of dentistry, a natural-looking dental bridge emerges, giving the patient an attractive type of restoration. Aiming to restore your teeth as natural as it was before? Visit us at 551 W. McDermott Dr. Allen TX 75013 to know more about Dental Bridges in Allen, TX, or to schedule your appointment with Allen Dentistry.